When it comes to the future of the TN Visa and NAFTA, there is a lot you can find on the internet and Trump's comments about ending the NAFTA free trade agreement. Most TN Visa applicants are wondering what is the real future of the North American Free Trade Agreement (NAFTA) and how does it actually affect their TN1 status? In this article, we will explain to you what is happening with the NAFTA trade talks, if President Trump’s threats to leave NAFTA are real, how it affects you as an existing TN Visa applicant or a first time applicant. The United States, Mexico and Canada have signed the deal on Peña Nieto's, the Mexican president's, final day in office. This is far from over. US and Canada must still get this approved with their respective legislative process. The United States, Mexico and Canada have a tentative deal in place. They are now attempting to sign the new NAFTA 2.0 deal known as the United States–Mexico–Canada Agreement (USMCA), before Enrique Peña Nieto, the Mexican president leaves office on Dec 01, 2018. The latest TN Visa news as of this tenative deal is: no major changes to the TN Visa application process. You also should be aware that there has ben no changes to the NAFTA Job List. As we have mentioned before, be careful when applying and be more prepared as we have seen more scrutiny when Immigration Officers at the border interview. Read the section at the end of this article for details. Now, you hear him speak and you see what he is doing, you can see how it applies to the above principles. 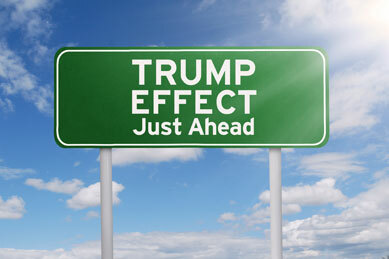 On March 1st, President Trump announced he would put a 25 percent tariff on steel imports and 10 percent tariff on aluminum. He believes it will create U.S. manufacturing jobs, many believe this will not help. Five days after his election, President Trump signed an executive order to increase ICE deportation officers. This is his attempt to enforce laws, remove criminals and help with public safety. In addition to that, he also wants to "get rid of criminals" by sending them back to where they came from, and he plans to do that with immigration law. You can use this information as a basis to understand his statements and actions. Many times Trump is known for making exaggerated claims and exploiting people's fear. The media only adds fuel to the fire. They further play with people's fears forcing them to think a certain way. Can Trump Just Leave NAFTA? Trump has threatened on numerous occasions to leave NAFTA. Can he do this? This is a question many are trying to understand and what is the TN Visa future. In August 2017, Trump tweeted Mexico and Canada were being "very difficult" over the NAFTA renegotiation. He threatened to terminate the deal instead. He showed his power when signing an executive order pulling out of the Trans-Pacific Partnership (TPP). 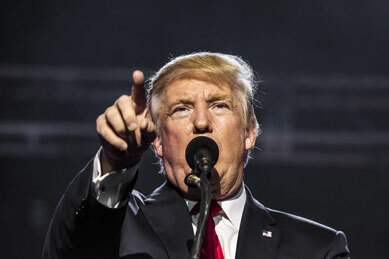 Regarding NAFTA and TN Visa future, Trump has said that terminating it would yield the "best deal" in renegotiations.Reading between the lines, we see he wants to renegotiate, he is using scare tactics to get Canada and Mexico to the negotiating table and try to change terms of the agreement. According to an interview with Reuters, he said: "We are renegotiating NAFTA now. We will see what happens. I may terminate NAFTA." "A Party may withdraw from this Agreement six months after it provides written notice of withdrawal to the other Parties. If a Party withdraws, the Agreement shall remain in force for the remaining Parties"
Trump can unilaterally withdraw from NAFTA by giving Canada and Mexico six months notice. However Congress also has a say since it ratified and implemented most of NAFTA through legislation. Congress can pass new laws that can protect NAFTA and eliminate the President’s ability to unilaterally withdraw. There are many members of the GOP who are against leaving NAFTA and any decision Trump makes will need to be made with this in mind. For now these seem to be threats and you should watch what is happening behind the scenes. Pay attention to the threats but do not let them scare you into inaction. NAFTA is currently under negotiations and this may be all Trump wanted with his statements: To get everyone to the table. Trump's Actions Speak Louder, Is The US Really Dropping NAFTA And TN Visas? In his first 3 months, President Donald Trump threatened to back out from NAFTA if Canada and Mexico reject renegotiation. Do not let Trump’s statements scare you. Look at what’s really happening and who is involved. NAFTA is supported by some of the biggest lobbyist groups including the auto industry giants such as General Motors and Toyota Motors. As for agriculture, $17.9 billion agricultural products were exported to Mexico alone. This has caused the agricultural lobby to stand against leaving NAFTA. To remove the trade deficit between the US and Canada, the Trump administration wishes to eliminate unfair subsidies. To ask for stronger protection for the American intellectual properties and digital trade. So, what does Canada want out of NAFTA? Canada wants the USA to end tariffs on its dairy and lumber products. Plus, it wants Boeing to drop its court case against Bombardier. The Commerce Department of America added a 220% tariff on the trade in of Bombardier CSeries jets. Lastly, both Canada and Mexico want increased right of entry for business travelers. They will also demand enclosure of gender rights in the agreement. On 5th March 2018, the 7th round of NAFTA renegotiations came to a conclusion. The representatives of America, Mexico, and Canada admitted that the progress has been slow. NAFTA TN Visa Future - What to Expect? As we can see, the new USMCA has a clause to revist the NAFTA agreement every 6 years. We will never know what will happen, but one thing is for sure: once you are in the US working on a valid visa, they cannot make you leave. This means that you need to apply as soon as possible and get your visa now! Once you start living and working in the US, you have so many options. Since the TN Visa future and NAFTA's future is very uncertain, this has increased fear in many TN visa holders and those who wish to apply for one. Do not wait to apply. Use the information we give you on this website to be successful. If you have questions, contact us. We will be happy to help you. If you are worried or scared, remember it is unlikely a lot will change with USMCA and the TN Visa process. Especially in the case of TN Visa for Canadians. Why? First, in order to change or cancel NAFTA, the required procedure is a complicated one that needs great deal of time and effort. Furthermore, it calls for very specific withdrawal protocols and notifications, thus preventing the treaty to be dissolved overnight. Second, judging from a legal perspective, TN status was founded by NAFTA. But later it was established separately by Congress. As such, the classification of TN is independent in the American law even without NAFTA. If NAFTA got canceled, the laws related to TN would still continue to exist unless Congress decided to make some changes, and that is highly unlikely. Contrary to the most recent trade deals, there is no separate provision under NAFTA that a withdrawal treaty would nullify legislation. In short, as seen with other visas, the immigration department will not kick you out if you have an existing valid visa. This doesn't mean a TN visa applicant should become complacent. You should still be careful when crossing the border, when applying for your TN Visa. Know the TN Visa requirements. We've noticed changes at the border. CBP Officers are scrutinizing more applications, they are asking more questions. If you currently have a TN Visa, always be ready to answer questions when re-entering and leaving the country. We have seen situations where a TN Visa holder returns from Christmas vacation and the Officer starts asking questions. The TN applicant starts responding without thinking and does not pay much attention since they already have a TN Visa. The Officer hears something that raises his suspicions and denies entry stating the TN was issued in error and no longer qualifies. Always be careful - they have the ability to make your life difficult. How to Successfully Obtain Your TN Visa Renewal? If you have been approved for the TN Visa previously, this helps you since it shows the Officer or one of their colleagues deemed your application to be valid. Remember, there is no official TN Visa Renewal. Each application must show how the applicant and the job meet the NAFTA requirements for the TN Visa. If your job has changed since your last application, you will need to modify your application accordingly and the Immigration Officer will ask you questions with respect to your new position. If you already purchased the TN Visa Expert Kit for your initial application, simply email us and ask us if there have been any major revisions since your purchase. We will let you know. Always before you apply, read the Border Interview Chapter to refresh your memory on what to say and do when you arrive at the border (or airport). The immigration officers are watching all your actions, so be smart. How to Successfully Obtain Your TN Visa For New Applications? There are many ways you can prepare and apply for your TN Visa application. We believe you should only spend money for the support you need. So if after using the TN Visa Expert Kit to create your application, you feel you want confirmation your application is valid then you can obtain the TN Visa Application lawyer review. This is where an experienced immigration lawyer will review your application, provide you ways to improve your application and have a phone call with you to answer your questions. We know the future is uncertain and change can be scary at times, but getting your TN Visa can be one of the most rewarding actions you can do for yourself and your family. The opportunities available to you when you obtain your TN are immense. Just take the first step to get started and you will never regret it! We are here to help and support you.